As part of teaching and scholarly practices, we routinely confront (or ignore) the challenges introduced by copyright. 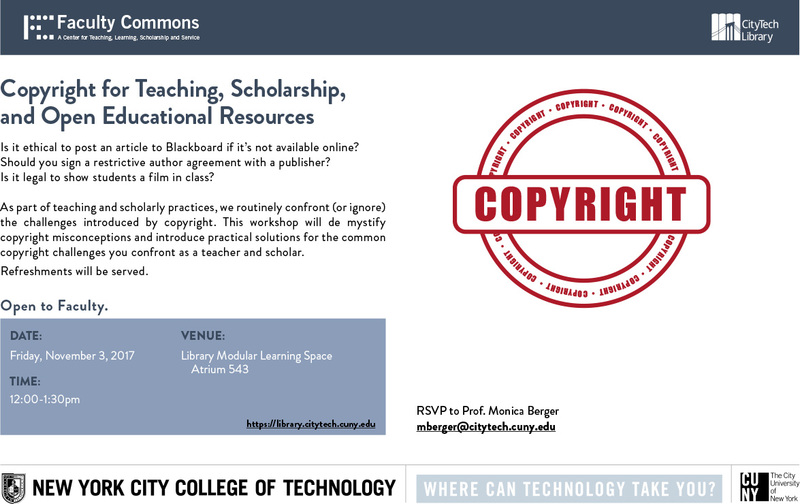 This workshop will demystify copyright misconceptions and introduce practical solutions for the common copyright challenges you confront as a teacher and scholar. Refreshments will be served.